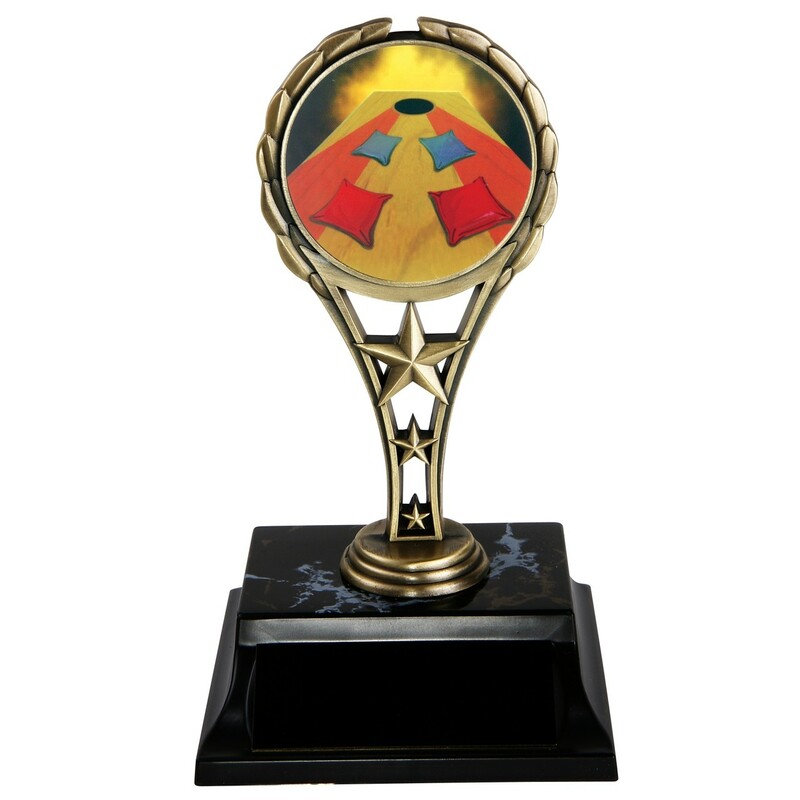 With the Corn Hole Star Trophy you can give your fellow corn hole players a reward that they can proudly display to be reminded of glory! Measuring 7 inches tall, the trophy features a golden metal figure with a bean bag toss picture. Your custom message is included in the price and is attached onto the black base.